Sam is a marine biologist and ecologist whose research is at the interface of ecology and physiology and seeks to understand the mechanisms of resilience of coral reefs. Her research program combines the collection of field data with laboratory-based tank experiments that allow her to both replicate and manipulate conditions, such as ocean temperature, acidification and nutrient supply, to study the physiology of corals and their symbionts. Currently, her research projects include the effects of environmental parameters on coral reproductive ecology, exploring the links between coral feeding, growth and the biochemical processes that take place between coral and zooxanthellae, and investigating the coral holobiont physiological response to predicted climate change impacts and local anthropogenic stressors. 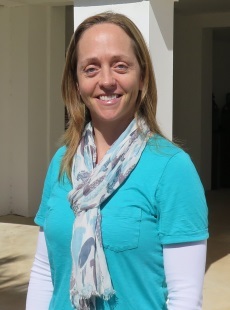 Sam received her PhD in 2003 from Swansea University of Wales where she focused on coral reproductive ecology in Bermuda and became faculty at BIOS in 2005. As the Principal Investigator of the Coral Ecophysiology Lab, as well as a co-Principal Investigator of BEACON (the Bermuda Ocean Acidification and Coral Reef Investigation), she has been conducting research at BIOS for over 20 years. Recently, in the summer of 2015, she offered her expertise to the Living Reefs Foundation—a Bermuda-based charity established to preserve the island’s coral reefs—by assisting with the development and application of coral culture and transplantation techniques as a means to increase reef health. Expanding knowledge of how corals function and defining biological traits that drive resilience in corals and coral reefs. Particular focus is on coral reproductive ecology, including larval settlement and recruitment, and the effects of seawater temperature, acidification and nutrients on coral physiology and resilience. Goodbody-Gringley G. and de Putron SJ (2016) Brooding corals: planulation patterns, larval behavior, and recruitment dynamics in the face of environmental change. In ‘The Cnidaria, past, present and future. The world of Medusa and her sisters. S. Goffredo and Z. Dubinsky eds. Springer publisher. Drenkard EJ*, Cohen AL, McCorkle DL, de Putron SJ, Starczak V, Zicht A* (2013). Calcification by juvenile corals under heterotrophy and elevated CO2. Coral Reefs. DOI 10.1007/s00338-013-1021-5. Smith SR, de Putron SJ, Murdoch TJT, Pitt JM, Nagelkerken I (2013) “Biology and Ecology of Corals and Fishes on the Bermuda Platform.” pp. 135-151 in C.R.C. Sheppard (ed. ), Coral Reefs of the United Kingdom Overseas Territories, Coral Reefs of the World 4, Springer Science+Business Media Dordrecht. Sam is currently accepting interns.